Chiapas ([ˈtʃjapas]), officially the Free and Sovereign State of Chiapas (Spanish: Estado Libre y Soberano de Chiapas), is one of the 31 states that, with the Federal District, make up the 32 federal entities of Mexico. It is divided into 122 municipalities and its capital city is Tuxtla Gutiérrez. Other important population centers in Chiapas include Ocosingo, Tapachula, San Cristóbal de las Casas, Comitán and Arriaga. It is the southernmost state, bordered by the states of Oaxaca to the west, Veracruz to the northwest and Tabasco to the north, and by the Petén, Quiché, Huehuetenango and San Marcos departments of Guatemala to the east and southeast. Chiapas has a coastline along the Pacific Ocean to the south. In general, Chiapas has a humid, tropical climate. In the north, in the area bordering Tabasco, near Teapa, rainfall can average more than 3,000 mm (120 in) per year. In the past, natural vegetation at this region was lowland, tall perennial rainforest, but this vegetation has been destroyed almost completely to give way to agriculture and ranching. Rainfall decreases moving towards the Pacific Ocean, but it is still abundant enough to allow the farming of bananas and many other tropical crops near Tapachula. On the several parallel "sierras" or mountain ranges running along the center of Chiapas, climate can be quite temperate and foggy, allowing the development of cloud forests like those of the Reserva de la Biosfera el Triunfo, home to a handful of resplendent quetzals and horned guans. Chiapas is home to the ancient Mayan ruins of Palenque, Yaxchilán, Bonampak, Chinkultic and Toniná. It is also home to one of the largest indigenous populations in the country with twelve federally recognized ethnicities. Much of the state’s history is centered on the subjugation of these peoples with occasional rebellions. The last of these rebellions was the 1994 Zapatista uprising, which succeeded in obtaining new rights for indigenous people. The official name of the state is Chiapas. According to John P. Schmal, "The name Chiapas is believed to have been derived from the ancient city of Chiapan, which in Náhuatl means the place where the chia sage grows." After the Spanish arrived (1522), they established two cities called Chiapas de los Indios and Chiapas de los Españoles (1528), with the name of Provincia de Chiapas for the area around the cities. The first coat of arms of the region dates from 1535 as that of the Ciudad Real (San Cristóbal de las Casas). Chiapas painter Javier Vargas Ballinas designed the modern coat of arms. When the Spanish arrived in the 16th century, they found the indigenous peoples divided into Mayan and non-Mayan, with the latter dominated by the Zoques and Chiapa. The first contact between Spaniards and the people of Chiapas came in 1522, when Hernán Cortés sent tax collectors to the area after Aztec Empire was subdued. The first military incursion was headed by Luis Marín, who arrived in 1523. For three years, Marín was able to subjugate a number of the local peoples, but met with fierce resistance from the Tzotzils in the highlands. The Spanish colonial government then sent a new expedition under Diego de Mazariegos. Mazariegos had more success than his predecessor, but many indigenes preferred to commit suicide rather than submit to the Spanish. One famous example of this is the Battle of Tepetchia, where many jumped to their deaths in the Sumidero Canyon. Indigenous resistance was weakened by continual warfare with the Spaniards as well as disease, and by 1530, almost all of the indigenous peoples of the area had been subdued with the exception of the Lacandons in the deep jungles who actively resisted until 1695. However, the main two groups, the Tzotzils and Tzeltals of the central highlands were subdued enough to establish the first Spanish city, today called San Cristóbal de las Casas, in 1528. It was one of two settlements initially called Villa Real de Chiapa de los Españoles and the other called Chiapa de los Indios. Soon after, the encomienda system was introduced, which reduced most of the indigenous population to serfs and many even as slaves, paid as a form of tribute. The conquistadors brought previously unknown diseases. This, as well as overwork on plantations, dramatically decreased the indigenous population. The Spanish also established missions, mostly under the Dominicans, with the Diocese of Chiapas established in 1538 by Pope Paul III. The Dominican evangelizers became early advocates of the indigenous' plight, with Bartolomé de las Casas winning a battle with the passing of a law in 1542 for their protection. This order also worked to make sure that communities would keep their indigenous name with a saint’s prefix leading to names such as San Juan Chamula and San Lorenzo Zinacantán. He also advocated adapting the teaching of Christianity to indigenous language and culture. The encomienda system that had perpetrated much of the abuse of the indigenous peoples fell away by the end of the 16th century, and was replaced by haciendas. However, the use and misuse of Indian labor remained a large part of Chiapas politics into modern times. This treatment and tribute payments would create an undercurrent of resentment in the indigenous population that passed on from generation to generation. One uprising against high tribute payments occurs in the Tzeltal communities in the Los Alto region in 1712. Soon, the Tzoltzils and Ch'ols joined the Tzeltales in rebellion, but within a year, the government was able to extinguish the rebellion. Since the colonial period, Chiapas had been relatively isolated from colonial authorities in Mexico City and regional authorities in Guatemala. One reason for this was the rugged terrain but the other was that much of Chiapas was not attractive to the Spanish for its lack of mineral wealth, large areas of arable land, and easy access to markets. This isolation spared it from battles related to Independence. José María Morelos y Pavón did enter the city of Tonalá but incurred no resistance. The only other insurgent activity was the publication of a newspaper called El Pararrayos by Matías de Córdova in San Cristóbal de las Casas. Elites in highland cities pushed for incorporation into Mexico. In 1822, then Emperor Agustín de Iturbide decreed that Chiapas was part of Mexico. In 1823, the Junta General de Gobierno was held and Chiapas declared independence again. In July 1824, the Soconusco District of southwestern Chiapas split off from Chiapas, announcing that it would join the Central American Federation. In September of the same year, a referendum was held on whether the intendencia would join Central America or Mexico, with many of the elite endorsing union with Mexico. This referendum ended in favor of incorporation with Mexico (allegedly through manipulation of the elite in the highlands), but the Soconusco region maintained a neutral status until 1842, when Oaxacans under General Antonio López de Santa Anna occupied the area, and declared it reincorporated into Mexico. Elites of the area would not accept this until 1844. Guatemala would not recognize Mexico's annexation of the Soconusco region until 1895 even though a final border between Chiapas and the country was finalized until 1882. The State of Chiapas was officially declared in 1824, with its first constitution in 1826. Ciudad Real was renamed San Cristóbal de las Casas in 1828. The Universidad Pontificia y Literaria de Chiapas was founded in 1826, with Mexico's second teacher’s college founded in the state in 1828. With the ouster of conservative Antonio López de Santa Anna, Mexican liberals came to power. The Reform War (1858–1861) fought between Liberals, who favored federalism and sought economic development, decreased power of the Roman Catholic Church, and Mexican army, and Conservatives, who favored centralized autocratic government, retention of elite privileges, did not lead to any military battles in the state. Despite that it strongly affected Chiapas politics. In Chiapas, the Liberal-Conservative division had its own twist. Much of the division between the highland and lowland ruling families was for whom the Indians should work for and for how long as the main shortage was of labor. These families split into Liberals in the lowlands, who wanted further reform and Conservatives in the highlands who still wanted to keep some of the traditional colonial and church privileges. For most of the early and mid 19th century, Conservatives held most of the power and were concentrated in the larger cites of San Cristóbal de las Casas, Chiapa (de Corzo), Tuxtla and Comitán. As Liberals gained the upper hand nationally in the mid-19th century, one Liberal politician Ángel Albino Corzo gained control of the state. Corzo became the primary exponent of Liberal ideas in the southeast of Mexico and defended the Palenque and Pichucalco areas from annexation by Tabasco. However, Corzo's rule would end in 1875, when he opposed the regime of Porfirio Díaz. The opening up of these lands also allowed many whites and mestizos (often called Ladinos in Chiapas) to encroach on what had been exclusively indigenous communities in the state. These communities had had almost no contact with the Ladino world, except for a priest. The new Ladino landowners occupied their acquired lands as well as others, such as shopkeepers, opened up businesses in the center of Indian communities. In 1848, a group of Tzeltals plotted to kill the new mestizos in their midst, but this plan was discovered, and was punished by th removal of large number of the community’s male members. The changing social order had severe negative effects on the indigenous population with alcoholism spreadings, leading to more debts as it was expensive. The struggles between Conservatives and Liberals nationally disrupted commerce and confused power relations between Indian communities and Ladino authorities. It also resulted in some brief respites for Indians during times when the instability led to uncollected taxes. One other effect that Liberal land reforms had was the start of coffee plantations, especially in the Soconusco region. One reason for this push in this area was that Mexico was still working to strengthen its claim on the area against Guatemala’s claims on the region. The land reforms brought colonists from other areas of the country as well as foreigners from England, the United States and France. These foreign immigrants would introduce coffee production to the areas, as well as modern machineray and professional administration of coffee plantations. Eventually, this production of coffee would become the state's most important crop. This culminated in the Chiapas "caste war", which was an uprising the Tzotzils beginning in 1868. The basis of the uprising was the establishment of the "three stones cult" in Tzajahemal. Agustina Gómez Checheb was a girl tending her father’s sheep when three stones fell from the sky. Collecting them, she put them on her father’s altar and soon claimed that the stone communicated with her. Word of this soon spread and the "talking stones" of Tzajahemel soon became a local indigenous pilgrimage site. The cult was taken over by one pilgrim, Pedro Díaz Cuzcat, who also claimed to be able to communicate with the stones, and had knowledge of Catholic ritual, becoming a kind of priest. However, this challenged the traditional Catholic faith and non Indians began to denounce the cult. Stories about the cult include embellishments such as the crucifixion of a young Indian boy. In the mid-20th century, the state experienced a significant rise in population, which outstripped local resources, especially land in the highland areas. Since the 1930s, many indigenous and mestizos have migrated from the highland areas into the Lacandon Jungle with the populations of Altamirano, Las Margaritas, Ocosingo and Palenque rising from less than 11,000 in 1920 to over 376,000 in 2000. These migrants came to the jungle area to clear forest and grow crops and raise livestock, especially cattle. Economic development in general raised the output of the state, especially in agriculture, but it had the effect of deforesting many areas, especially the Lacandon. Added to this was there was still serf like conditions for many workers and insufficient educational infrastructure. Population continued to increase faster than the economy could absorb There were some attempts to resettle peasant farmers onto non cultivated lands, but they were met with resistance. President Gustavo Díaz Ordaz awarded a land grant to the town of Venustiano Carranza in 1967, but that land was already being used by cattle-ranchers who refused to leave. The peasants tried to take over the land anyway, but when violence broke out, they were forcibly removed. In Chiapas poor farmland and severe poverty afflict the Mayan Indians which led to unsuccessful non violent protests and eventually armed struggle started by the Zapatista National Liberation Army in January 1994. 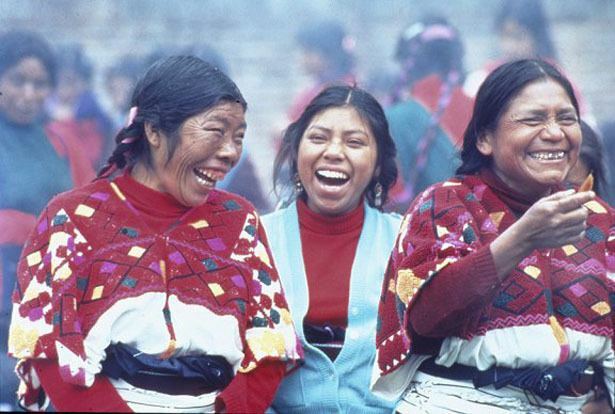 In the 1980s, the politization of the indigenous and rural populations of the state began in the 1960s and 1970s continued. In 1980, several ejido (communal land organizations) joined to form the Union of Ejidal Unions and United Peasants of Chiapas, generally called the Union of Unions, or UU. It had a membership of 12,000 families from over 180 communities. By 1988, this organization joined with other to form the ARIC-Union of Unions (ARIC-UU) and took over much of the Lacandon Jungle portion of the state. Most of the members of these organization were from Protestant and Evangelical sects as well as "Word of God" Catholics affiliated with the political movements of the Diocese of Chiapas. What they held in common was indigenous identity vis-à-vis the non-indigenous, using the old 19th century "caste war" word "Ladino" for them. The adoption of neoliberalism by the Mexican federal government clashed with the leftist political ideals of these groups, notably as the reforms began to have negative economic effects on poor farmers, especially small-scale indigenous coffee-growers. Opposition would coalese into the Zapatista movement in the 1990s. Although the Zapatista movement couched its demands and cast its role in response to contemporary issues, especially in its opposition to neoliberalism, it operates in the tradition of a long line of peasant and indigenous uprisings that have occurred in the state since the colonial era. This is reflected in its indigenous vs. Ladino character. However, the movement was an economic one as well. Although the area has extensive resources, much of the local population of the state, especially in rural areas, did not benefit from this bounty. In the 1990s, two thirds of the state's residents did not have sewage service, only a third had electricity and half did not have potable water. Over half of the schools offered education only to the third grade and most pupils dropped out by the end of first grade. Grievances, strongest in the San Cristóbal and Lacandon Jungle areas, were taken up by a small leftist guerrilla band led by a man called only "Subcomandante Marcos." Although it has been estimated as having no more than 300 armed guerrilla members, the EZLN paralyzed the Mexican government, which balked at the political risks of direct confrontation. The major reason for this was that the rebellion caught the attention of the national and world press, as Marcos made full use of the then-new Internet to get the group's message out, putting the spotlight on indigenous issues in Mexico in general. Furthermore, the opposition press in Mexico City, especially La Jornada, actively supported the rebels. These factors encouraged the rebellion to go national. Many blamed the unrest on infiltration of leftists among the large Central American refugee population in Chiapas, and the rebellion opened up splits in the countryside between those supporting and opposing the EZLN. Zapatista sympathizers have included mostly Protestants and Word of God Catholics, opposing those "traditionalist" Catholics who practiced a syncretic form of Catholicism and indigenous beliefs. This split had existed in Chiapas since the 1970s, with the latter group supported by the caciques and others in the traditional power-structure. Protestants and Word of God Catholics (allied directly with the bishopric in San Cristóbal) tended to oppose traditional power structures. The Bishop of Chiapas, Samuel Ruiz, and the Diocese of Chiapas reacted by offering to mediate between the rebels and authorities. However, because of this diocese's activism since the 1960s, authorities accused the clergy of being involved with the rebels. There was some ambiguity about the relationship between Ruiz and Marcos and it was a constant feature of news coverage, with many in official circles using such to discredit Ruiz. Eventually, the activities of the Zapatistas began to worry the Roman Catholic Church in general and to upstage the diocese's attempts to re establish itself among Chiapan indigenous communities against Protestant evangelization. This would lead to a breach between the Church and the Zapatistas. The Zapatista story remained in headlines for a number of years. One reason for this was the December 1997 massacre of forty-five Tzotzil peasants, mostly women and children in the Zapatista-controlled village of Acteal in the Chenhaló municipality just north of San Cristóbal. This allowed many media outlets in Mexico to step up their criticisms of the government. However, the massacre was not carried out by the government but by civilians, demonstrating how the emergence of the Zapatista movement had divided indigenous groups. Despite this, the armed conflict was brief, mostly because the Zapatistas, unlike many other guerilla movements, did not try to gain traditional political power. It focussed more on trying to manipulate public opinion in order to obtain concessions from the government. This has linked the Zapatistas to other indigenous and identity-politics movements that arose in the late-20th century. The main concession that the group received was the San Andrés Accords (1996), also known as the Law on Indian Rights and Culture. The Accords appear to grant certain indigenous zones autonomy, but this is against the Mexican constitution, so its legitimacy has been questioned. Zapatista declarations since the mid-1990s have called for a new constitution. As of 1999 the government had not found a solution to this problem. The revolt also pressed the government to institute anti-poverty programs such as "Progresa" (later called "Oportunidades") and the "Puebla-Panama Plan" - aiming to increase trade between southern Mexico and Central America. However, Chiapas remains one of the poorest states in Mexico. Ninety-four of its 111 municipalities have a large percentage of the population living in poverty. In areas such as Ocosingo, Altamirano and Las Margaritas, the towns where the Zapatistas first came into prominence in 1994, 48% of the adults are illiterate. Chiapas is still considered isolated and distant from the rest of Mexico, both culturally and geographically. It has significantly underdeveloped infrastructure compared to the rest of the country, and its significant indigenous population with isolationist tendencies keep the state distinct culturally. Cultural stratification, neglect and lack of investment by the Mexican federal government has exacerbated this problem. The Central Depression is in the center of the state. It is an extensive semi flat area bordered by the Sierra Madre de Chiapas, the Central Highlands and the Northern Mountains. Within the depression there are a number of distinct valleys. The climate here can be very hot and humid in the summer, especially due to the large volume of rain received in July and August. The original vegetation was lowland deciduous rainforest with some rainforest of middle altitudes and some oaks above 1,500 metres (4,900 ft) above sea level. The Lacandon Jungle is situated in north eastern Chiapas, centered on a series of canyonlike valleys called the Cañadas, between smaller mountain ridges oriented from northwest to southeast. The ecosystem covers an area of approximately 1.9 million hectares extending from Chiapas into northern Guatemala and southern Yucatán Peninsula and into Belize. 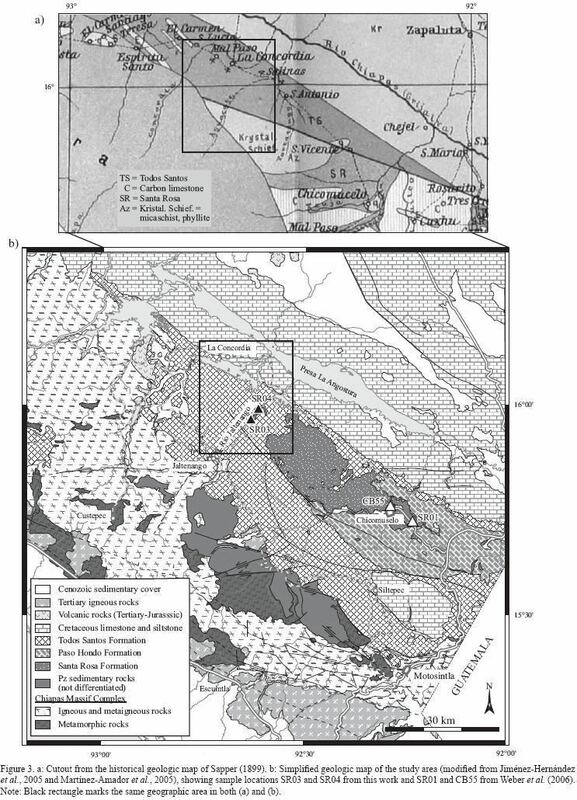 This area contains as much as 25% of Mexico's total species diversity, most of which has not been researched. It has a predominantly hot and humid climate (Am w" i g) with most rain falling from summer to part of fall, with an average of between 2300 and 2600 mm per year. There is a short dry season from March to May. The predominate wild vegetation is perennial high rainforest. The Lacandon comprises a biosphere reserve (Montes Azules); four natural protected areas (Bonampak, Yaxchilan, Chan Kin, and Lacantum); and the communal reserve (La Cojolita), which functions as a biological corridor with the area of Petén in Guatemala. Flowing within the Rainforest is the Usumacinta River, considered to be one of the largest rivers in Mexico and seventh largest in the world based on volume of water. The Soconusco region encompasses a coastal plain and a mountain range with elevations of up to 2000 meters above sea levels paralleling the Pacific Coast. The highest peak in Chiapas is the Tacaná Volcano at 4,800 meters above sea level. In accordance with an 1882 treaty, the dividing line between Mexico and Guatemala goes right over the summit of this volcano. The climate is tropical, with a number of rivers and evergreen forests in the mountains. This is Chiapas’ major coffee producing area, as it has the best soils and climate for coffee. Before the arrival of the Spanish, this area was the principal source of cocoa seeds in the Aztec empire, which they used as currency, and for the highly prized quetzal feathers used by the nobility. It would become the first area to produce coffee, introduced by an Italian entrepreneur on the La Chacara farm. Coffee is cultivated on the slopes of these mountains mostly between 600 and 1200 masl. Mexico produces about 4 million sacks of green coffee each year, fifth in the world behind Brazil, Colombia, Indonesia and Vietnam. Most producers are small with plots of land under five hectares. From November to January, the annual crop is harvested and processed employing thousands of seasonal workers. Lately, a number of coffee haciendas have been developing tourism infrastructure as well. Chiapas is located in the tropical belt of the planet, but the climate is moderated in many areas by altitude. For this reason, there are hot, semi-hot, temperate and even cold climates. There are areas with abundant rainfall year-round along with those that receive most of their rain from May to October with a dry season from November to April. The mountain areas affect wind and moisture flow over the state, concentrating moisture in certain areas of the state. They also are responsible for some cloud-covered rainforest areas in the Sierra Madre. Chiapas' rainforests are home to thousands of animals and plants, some of which cannot be found anywhere else in the world. 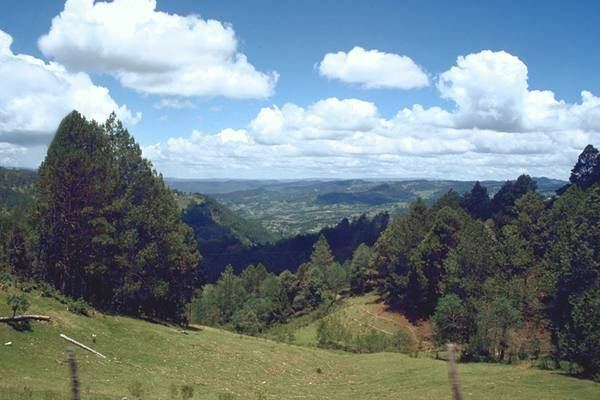 Natural vegetation varies from lowland to highland tropical forest, pine and oak forests in the highest altitudes and plains area with some grassland. Chiapas is ranked second in forest resources in Mexico with valued woods such as pine, cypress, Liquidambar, oak, cedar, mahogany and more. The Lacandon Jungle is one of the last major tropical rainforests in the northern hemisphere with an extension of 600,000 hectares (1,500,000 acres). It contains about sixty percent of Mexico’s tropical tree species, 3,500 species of plants, 1,157 species of invertebrates and over 500 of vertebrate species. Chiapas has one of the greatest diversities in wildlife in the Americas. There are more than 100 species of amphibians, 700 species of birds, fifty of mammals and just over 200 species of reptiles. In the hot lowlands, there are armadillos, monkeys, pelicans, wild boar, jaguars, crocodiles, iguanas and many others. In the temperate regions there are species such as bobcats, salamanders, a large red lizard Abronia lythrochila, weasels, opossums, deer, ocelots and bats. The coastal areas have large quantities of fish, turtles, and crustaceans, with many species in danger of extinction or endangered as they are endemic only to this area. The total biodiversity of the state is estimated at over 50,000 species of plants and animals. The diversity of species is not limited to the hot lowlands but in the higher altitudes as well with mesophile forests, oak/pine forests in the Los Altos, Northern Mountains and Sierra Madre and the extensive estuaries and mangrove wetlands along the coast. Chiapas has about thirty percent of Mexico’s fresh water resources. The Sierra Madre divides them into those that flow to the Pacific and those that flow to the Gulf of Mexico. Most of the first are short rivers and streams; most longer ones flow to the Gulf. Most Pacific side rivers do not drain directly into this ocean but into lagoons and estuaries. The two largest rivers are the Grijalva and the Usumacinta, with both part of the same system. The Grijalva has four dams built on it the Belisario Dominguez (La Angostura); Manuel Moreno Torres (Chicoasén); Nezahualcóyotl (Malpaso); and Angel Albino Corzo (Peñitas). The Usumacinta divides the state from Guatemala and is the longest river in Central America. In total, the state has 110,000 hectares (270,000 acres) of surface waters, 260 km (160 mi) of coastline, control of 96,000 km2 (37,000 sq mi) of ocean, 75,230 hectares (185,900 acres) of estuaries and ten lake systems. Laguna Miramar is a lake in the Montes Azules reserve and the largest in the Lacandon Jungle at 40 km in diameter. The color of its waters varies from indigo to emerald green and in ancient times, there were settlements on its islands and its caves on the shoreline. The Catazajá Lake is 28 km north of the city of Palenque. It is formed by rainwater captured as it makes it way to the Usumacinta River. It contains wildlife such as manatees and iguanas and it is surrounded by rainforest. Fishing on this lake is an ancient tradition and the lake has an annual bass fishing tournament. The Welib Já Waterfall is located on the road between Palenque and Bonampak. The state has thirty-six protected areas at the state and federal levels along with 67 areas protected by various municipalities. The Sumidero Canyon National Park was decreed in 1980 with an extension of 21,789 hectares (53,840 acres). It extends over two of the regions of the state, the Central Depression and the Central Highlands over the municipalities of Tuxtla Gutiérrez, Nuevo Usumacinta, Chiapa de Corzo and San Fernando. The canyon has steep and vertical sides that rise to up to 1000 meters from the river below with mostly tropical rainforest but some areas with xerophile vegetation such as cactus can be found. The river below, which has cut the canyon over the course of twelve million years, is called the Grijalva. The canyon is emblematic for the state as it is featured in the state seal. The Sumidero Canyon was once the site of a battle between the Spaniards and Chiapanecan Indians. Many Chiapanecans chose to throw themselves from the high edges of the canyon rather than be defeated by Spanish forces. Today, the canyon is a popular destination for ecotourism. Visitors often take boat trips down the river that runs through the canyon and enjoy the area's natural beauty including the many birds and abundant vegetation. While Catholics remain the majority, their numbers have dropped as many have converted to Protestant denominations in recent decades. The National Presbyterian Church in Mexico has a large followers in Chiapas; some estimate that 40% of the population are followers of the Presbyterian church. Over the history of Chiapas, there have been three main indigenous groups: the Mixes-Zoques, the Mayas and the Chiapa . Today, there are an estimated fifty-six linguistic groups. As of the 2005 Census, there were 957,255 people who spoke an indigenous language out of a total population of about 3.5 million. Of this one million, one third do not speak Spanish. Out of Chiapas' 111 municipios, ninety-nine have significant indigenous populations. Twenty two municipalities have indigenous populations over 90 percent, and 36 municipalities have native populations exceeding 50 percent. However, despite population growth in indigenous villages, the percentage of indigenous to non indigenous continues to fall with less than 35% indigenous. Indian populations are concentrated in a few areas, with the largest concentration of indigenous-language-speaking individuals is living in five of Chiapas's nine economic regions: Los Altos, Selva, Norte, Fronteriza, and Sierra. The remaining four regions, Centro, Frailesca, Soconusco, and Costa, have populations that are considered to be dominantly mestizo. Clothing, especially women’s clothing, varies by indigenous group. For example, women in Ocosingo tend to wear a blouse with a round collar embroidered with flowers and a black skirt decorated with ribbons and tied with a cloth belt. The Lacandon people tend to wear a simple white tunic. They also make a ceremonial tunic from bark, decorated with astronomy symbols. 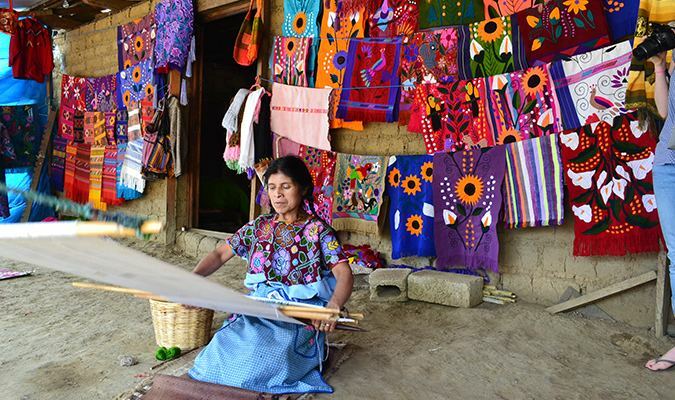 In Tenejapa, women wear a huipil embroidered with Mayan fretwork along with a black wool rebozo. Men wear short pants, embroidered at the bottom. The Tzeltals call themselves Winik atel, which means "working men." This is the largest ethnicity in the state, mostly living southeast of San Cristóbal with the largest number in Amatenango. Today, there are about 500,000 Tzeltal Indians in Chiapas. Tzeltal Mayan, part of the Mayan language family, today is spoken by about 375,000 people making it the fourth-largest language group in Mexico. There are two main dialects; highland (or Oxchuc) and lowland (or Bachajonteco) . This language, along with Tzotzil, is from the Tzeltalan subdivision of the Mayan language family. Lexico-statistical studies indicate that these two languages probably became differentiated from one another around 1200 Most children are bilingual in the language and Spanish although many of their grandparents are monolingual Tzeltal speakers. Each Tzeltal community constitutes a distinct social and cultural unit with its own well-defined lands, wearing apparel, kinship system, politico-religious organization, economic resources, crafts, and other cultural features. Women are distinguished by a black skirt with a wool belt and an undyed cotton bloused embroidered with flowers. Their hair is tied with ribbons and covered with a cloth. Most men do not use traditional attire. Agriculture is the basic economic activity of the Tzeltal people. Traditional Mesoamerican crops such as maize, beans, squash, and chili peppers are the most important, but a variety of other crops, including wheat, manioc, sweet potatoes, cotton, chayote, some fruits, other vegetables, and coffee. Chiapas accounts for 1.73% of Mexico's GDP. The primary sector, agriculture, produces 15.2% of the states GDP. The secondary sector, mostly energy production, but also commerce, services and tourism, accounts for 21.8%. The percentage of the GDP by commerce in services is rising while that of agriculture is falling. The state is divided into nine economic regions. These regions were established in the 1980s in order to facilitate statewide economic planning. Many of these regions are based on state and federal highway systems. These include Centro, Altos, Fronteriza, Frailesca, Norte, Selva, Sierra, Soconusco and Istmo-Costa. Despite being rich in resources, Chiapas, along with Oaxaca and Guerrero, lags behind the rest of the country in almost all socioeconomic indicators. As of 2005, there were 889,420 residential units, with 71% having running water, 77.3% having sewerage, and 93.6% having electricity. Construction of these units is varied from modern construction of block and concrete to those constructed of wood and laminate. Because of it high economic marginalization, more people migrate from Chiapas than migrate to it. Most of its socioeconomic indicators are the lowest in the country including income, education, health and housing. It has a significantly higher percentage of illiteracy than the rest of the country although that situation has improved since the 1970s when over 45% were illiterate and in the 1980s when about 32% were. The tropical climate presents health challenges, with most illnesses related to the gastro-intestinal tract and parasites. As of 2005, the state has 1,138 medical facilities: 1098 outpatient and 40 inpatient. Most are run by IMSS and ISSSTE and other government agencies. The implementation of NAFTA has had negative effects on the economy, often by lowering prices for agricultural products. It has also worked to make the southern states of Mexico poorer in comparison to those in the north with over 90% of the poorest municipalities in the south of the country. As of 2006, 31.8% work in communal services, social services and personal services. 18.4% work in financial services, insurance and real estate, 10.7% work in commerce, restaurants and hotels, 9.8% work in construction, 8.9% in utilities, 7.8% in transportation, 3.4% in industry (excluding handcrafts), and 8.4% in agriculture. Although until the 1960s, many indigenous communities were considered by scholars to be autonomous and economically isolated, this was never the case. Economic conditions began forcing many to migrate to work, especially in agriculture for non- indigenous. However, unlike many other migrant workers, most indigenous in Chiapas have remained strongly tied to their home communities. A study as early as the 1970s showed that 77 percent of heads of household migrated outside of the Chamula municipality as local land did not produce sufficiently to support families. In the 1970s, cuts in the price of corn forced many large landowners to convert their fields into pasture for cattle, displacing many hired laborers as cattle required less work. These agricultural laborers began to work for the government on infrastructure projects financed by oil revenue. It is estimated that in the 1980s to 1990s as many as 100,000 indigenous people moved from the mountain areas into cities in Chiapas, with some moving out of the state to Mexico City, Cancún and Villahermosa in search of employment. Agriculture, livestock, forestry and fishing employ over 53% of the state’s population; however, its productivity is considered to be low. Agriculture includes both seasonal and perennial plants. Major crops include corn, beans, sorghum, soybeans, peanuts, sesame seeds, coffee, cacao, sugar cane, mangos, bananas, and palm oil. These crops take up 95% of the cultivated land in the state and 90% of the agricultural production. Only four percent of fields are irrigated with the rest dependent on rainfall either seasonally or year round. Chiapas ranks second among the Mexican states in the production of cacao, the product used to make chocolate, and is responsible for about 60 percent of Mexico's total coffee output. The production of bananas, cacao and corn make Chiapas Mexico's second largest agricultural producer overall. The state's abundant rivers and streams have been dammed to provide about fifty five percent of the country's hydroelectric energy. Much of this is sent to other states accounting for over six percent of all of Mexico's energy output. Main power stations are located at Malpaso, La Angostura, Chicoasén and Peñitas, which produce about eight percent of Mexico's hydroelectric energy. Manuel Moreno Torres plant on the Grijalva River the most productive in Mexico. All of the hydroelectric plants are owned and operated by the Federal Electricity Commission (Comisión Federal de Electricidad, CFE). Chiapas is rich in petroleum reserves. Oil production began during the 1980s and Chiapas has become the fourth largest producer of crude oil and natural gas among the Mexican states. Many reserves are yet untapped, but between 1984 and 1992, PEMEX drilled nineteen oil wells in the Lacandona Jungle. Currently, petroleum reserves are found in the municipalities of Juárez, Ostuacán, Pichucalco and Reforma in the north of the state with 116 wells accounting for about 6.5% of the country's oil production. It also provides about a quarter of the country’s natural gas. This production equals 6,313.6 cubic metres (222,960 cu ft) of natural gas and 17,565,000 barrels of oil per year. The Colonial Route is mostly in the central highlands with a significant number of churches, monasteries and other structures from the colonial period along with some from the 19th century and even into the early 20th. The most important city on this route is San Cristóbal de las Casas, located in the Los Altos region in the Jovel Valley. The historic center of the city is filled with tiled roofs, patios with flowers, balconies, Baroque facades along with Neoclassical and Moorish designs. It is centered on a main plaza surrounded by the cathedral, the municipal palace, the Portales commercial area and the San Nicolás church. In addition, it has museums dedicated to the state’s indigenous cultures, one to amber and one to jade, both of which have been mined in the state. Other attractions along this route include Comitán de Domínguez and Chiapa de Corzo, along with small indigenous communities such as San Juan Chamula. The state capital of Tuxtla Gutiérrez does not have many colonial era structures left, but it lies near the area's most famous natural attraction of the Sumidero Canyon. This canyon is popular with tourists who take boat tours into it on the Grijalva River to see such features such as caves (La Cueva del Hombre, La Cueva del Silencio) and the Christmas Tree, which is a rock and plant formation on the side of one of the canyon walls created by a seasonal waterfall. Still others are based on conservation, local culture and other features. The Las Guacamayas Ecotourism Center is located in the Lacandon Jungle on the edge of the Montes Azules reserve. It is centered on the conservation of the red macaw, which is in danger of extinction. The Tziscao Ecotourism Center is centered on a lake with various tones. It is located inside the Lagunas de Montebello National Park, with kayaking, mountain biking and archery. Lacanjá Chansayab is located in the interior of the Lacandon Jungle and a major Lacandon people community. It has some activities associated with ecotourism such as mountain biking, hiking and cabins. The Grutas de Rancho Nuevo Ecotourism Center is centered on a set of caves in which appear capricious forms of stalagmite and stalactites. There is also horseback riding as well. Many of the colonial era buildings area related to Dominicans who came from Seville. This Spanish city had much Arabic influence in its architecture. This Arabic influence was transferred to form part of the colonial architecture in Chiapas, especially for structures dating from the 16th to 18th centuries. However, there are a number of architectural styles and influences present in Chiapas colonial structures, including colors and patterns from Oaxaca and Central America along with indigenous ones from Chiapas. Art in Chiapas is based on the use of color and has strong indigenous influence. This dates back to cave paintings such as those found in Sima de las Cotorras near Tuxtla Gutiérrez and the caverns of Rancho Nuevo where human remains and offerings were also found. The best-known pre Hispanic artwork is the Maya murals of Bonampak, which are the only Mesoamerican murals to have been preserved for over 1500 years. In general, Mayan artwork stands out for its precise depiction of faces and its narrative form. Indigenous forms derive from this background and continue into the colonial period with the use of indigenous color schemes in churches and into modern structures such as the municipal palace in Tapachula. Since the colonial period, the state has produced a large number of painter and sculptures. Noted 20th-century artists include Lázaro Gómez, Ramiro Jiménez Chacón, Héctor Ventura Cruz, Máximo Prado Pozo, and Gabriel Gallegos Ramos. The two best-known poets from the state include Jaime Sabines and Rosario Castellanos, both from prominent Chiapan families. The first was a merchant and diplomat and the second was a teacher, diplomat, theatre director and the director of the Instituto Nacional Indigenista. Jaime Sabines is widely regarded as Mexico’s most influential contemporary poet. His work celebrates everyday people in common settings. The most important instrument in the state is the marimba. In the pre Hispanic period, indigenous peoples had already been producing music with wooden instruments. The marimba was introduced by African slaves brought to Chiapas by the Spanish. However, it achieved its widespread popularity in the early 20th century due to the formation of the Cuarteto Marimbistico de los Hermanos Gómez in 1918, who popularized the instrument and the popular music they play not only in Chiapas but in various parts of Mexico and into the United States. Along with Cuban Juan Arozamena, they composed the piece "Las chiapanecas" considered to be the unofficial anthem of the state. In the 1940s, they were also featured in a number of Mexican films. Marimbas are constructed in Venustiano Carranza, Chiapas de Corzo and Tuxtla Gutiérrez. While Chiapas is known for good coffee, there are a number of other local beverages. The oldest is pozol, originally the name for a fermented corn dough. This dough has its origins in the pre Hispanic period. To make the beverage, the dough is dissolved in water and usually flavored with cocoa and sugar, but sometimes it is left to ferment further. It is then served very cold with lots of ice. Taxcalate is a drink made from a powder of toasted corn, achiote, cinnamon and sugar prepared with milk or water. Pumbo is a beverage made with pineapple, club soda, vodka, sugar syrup and lots of ice. Posh is a drink distilled from sugar cane. The largest and best-known archeological sites in Chiapas belong to the Mayan civilization. Apart from a few works by Franciscan friars, knowledge of Maya civilisation largely disappeared after the Spanish Conquest. In the mid-19th century, John Lloyd Stephens and Frederick Catherwood traveled though the sites in Chiapas and other Mayan areas and published their writings and illustrations. This led to serious work on the culture including the deciphering of its hieroglyphic writing. Palenque is the most important Mayan and archeological site. Tthough much smaller than the huge sites at Tikal or Copán, Palenque contains some of the finest architecture, sculpture and stucco reliefs the Mayans ever produced. The history of the Palenque site begins in 431 with its height under Pakal I (615-683), Chan-Bahlum II (684-702) and Kan-Xul who reigned between 702 and 721. However, the power of Palenque would be lost by the end of the century. Pakal’s tomb was not discovered inside the Temple of Inscriptions until 1949. Today, Palenque is a World Heritage Site and one of the best-known sites in Mexico. The capital of the state has a professional football team called Chiapas F.C. that competes in the Liga MX, located in Tuxtla Gutiérrez. This team made Mexico's first division in 2002. The team changed its symbol and colors to orange and black in 2010. It participated in the Copa Libertadores de América in 2011.